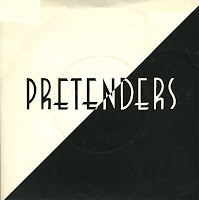 The Pretenders released their second album 'Pretenders II' in August 1981. Most critics at the time called it disappointing, although it is now generally considered a great album. 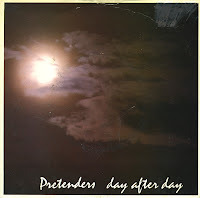 The track 'Day after day' was released as a single. The accompanying music video was played a lot on MTV in the USA, but that didn't lead to any chart success. In the UK, meanwhile, the single peaked at number 45. 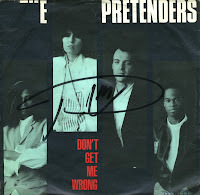 'Don't get me wrong' was the first single taken from the Pretenders' 1986 album, 'Get close'. This song was more commercial than the band's usual sound, with a jangly guitar sound and a pop melody. However, the lyrics were still as edgy as their earlier material. The single reached number 10 in the US Billboard Hot 100 chart and the UK singles chart, while peaking at number 19 in the Dutch Top 40. 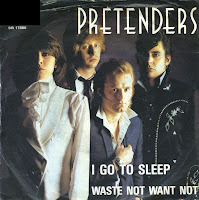 'I go to sleep' is a track from the second album by the Pretenders, called 'Pretenders II'. Although it is not one of their most exciting tracks, it is one of their biggest hits, as it peaked at number 7 in the UK singles chart and number 4 in the Dutch Top 40. I didn't like the song when it first came out, but a few years later I learned to like it. That's how it went with many more Pretenders tracks. 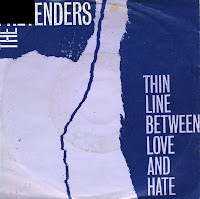 'Thin line between love and hate' was written by the brothers Robert and Richard Poindexter with Jackie Members and first performed in 1971 by the New York City-based vocal group The Persuaders. It became the group's biggest hit in the autumn of 1971, reaching number 15 in the US Billboard Hot 100 chart. The Pretenders recorded a cover version of the track in 1984 on their album 'Learning to crawl'. Featuring Paul Carrack on keyboards and backing vocals, their version reached number 83 in the Billboard Hot 100 chart, number 49 in the UK singles chart and number 27 in the Dutch Top 40. 'Back on the chain gang' was originally going to be about Ray Davies, with whom Chrissie Hynde had a relationship. They also had a daughter together. The meaning of the song changed when James Honeyman-Scott, guitarist of the Pretenders, died of a drug overdose at the age of 25 in 1982. The song was released as a single in 1982 and later included on the Pretenders' 1984 album 'Learning to crawl'. The single reached number 5 in the US Billboard Hot 100 chart, number 17 in the UK singles chart and number 30 in the Dutch Top 40. 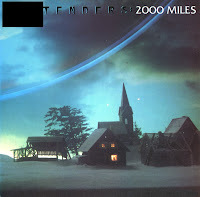 The Pretenders released '2000 miles' in November 1983. The single preceded the album 'Learning to crawl', which was released in early 1984. The song is considered a Christmas song for its music and the lyric 'It must be Christmas time' in the chorus. '2000 miles' peaked at number 15 in the UK singles chart and number 8 in the Dutch Top 40. The single was released in a limited edition gatefold sleeve, which I bought some years after its original release. 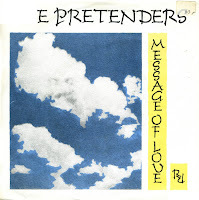 The second single from the Pretenders' second album 'Pretenders II' was the dynamic 'Message of love'. It was another UK success for the band, as it peaked at number 11 in the UK singles chart. They also managed to reach number 16 in the Australian singles chart. This is one of those songs that I've always liked but I never could remember to buy it. 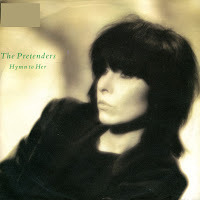 It's only more recently that I've come to discover that I actually like quite a lot of Pretenders tracks. 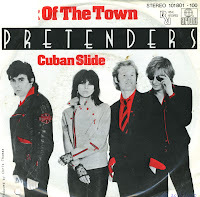 The Pretenders followed up their first big success 'Brass in pocket' with the first single from their second album 'Pretenders II', entitled 'Talk of the town'. The band sounded a bit more cohesive and sophisticated than on their debut album, and frontwoman Chrissie Hynde's vocals had also grown. The single was rewarded with a number 8 placing in the UK singles chart and a peak position of number 31 in the Dutch Top 40. 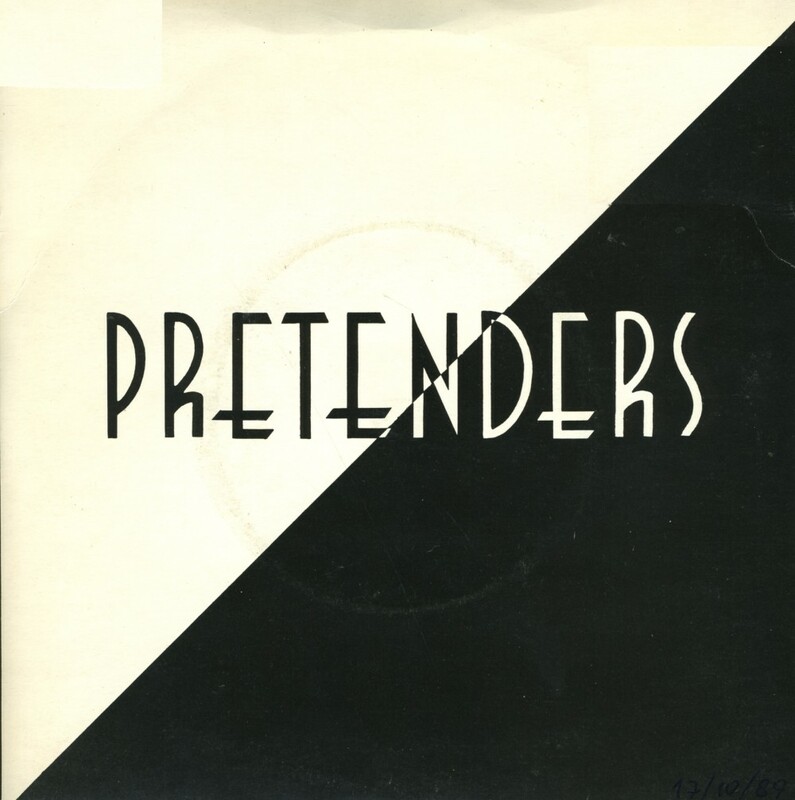 'Brass in pocket' was released as the Pretenders' third single. It was their first success, reaching number 1 in the UK singles chart in January 1980. In the Dutch Top 40, the single reached number 7. The song takes its title from an expression Hynde heard from a member of a Yorkshire-based support band who was looking for his money. 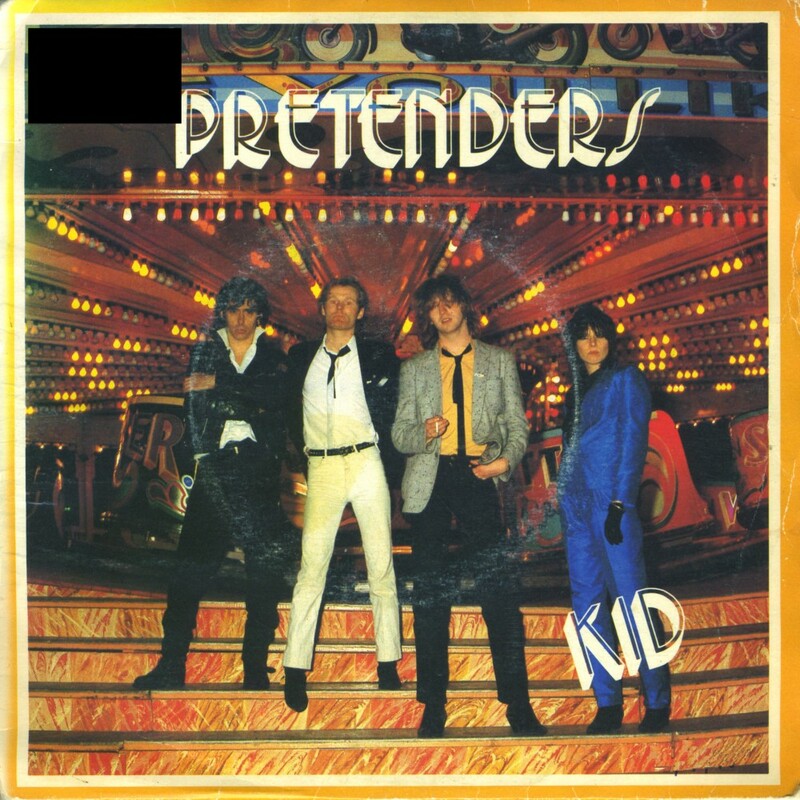 I got to know the song 'Kid' by the Pretenders when they released an acoustic ballad version of the song in 1994. After I bought that cd-single I got curious about the original version, and it's that curiosity that made me buy this 7" single. 'Kid' was originally released as the second single from the Pretenders, taken from their self-titled 1979 debut album. The single reached number 33 in the UK singles chart and number 90 in Australia. It was their last single release before 'Brass in pocket', the song that would take them all the way to number 1 in the UK singles chart. 'The living daylights' was the final James Bond film to date to be scored by composer John Barry. The soundtrack is notable for its introduction of sequenced electronic rhythm tracks overdubbed with the orchestra, which at the time was a relatively new thing. Contrary to previous Bond films, the film uses different songs over the opening and end credits. The song heard over the end credits, 'If there was a man', was one of two songs performed for the film by Chrissie Hynde of The Pretenders. 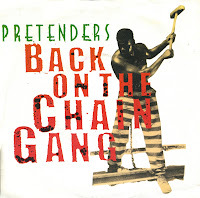 The Pretenders were originally considered to perform the title song. However, the producers were pleased with the commercial success of Duran Duran's 'A view to a kill', and felt that A-ha would be more likely to make an impact in the charts. 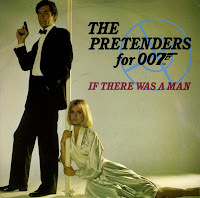 'If there was a man' was released as a single nonetheless, and peaked at number 49 in the UK singles chart. The fourth album by the Pretenders was released in 1986 and was titled 'Get close'. The first single taken from that album was 'Don't get me wrong', an up-tempo pop/rock track with a music video that looked like a tribute to the TV series 'The Avengers'. The second single was 'Hymn to her', a ballad that was popularly interpreted as a hymn to the Goddess. The single peaked at number 8 in the UK and only managed a number 35 placing in the Dutch Top 40.